Want it by Wednesday 24th April? Order within 13 hours, 20 minutes and choose Royal Mail Tracked 24 Hour at checkout. This stunning Clay Ring is delicately crafted but a statement piece which adorns your finger with an eye-catching sparkle! It features a variety of pastel coloured crystals set on palladium-plated metal. 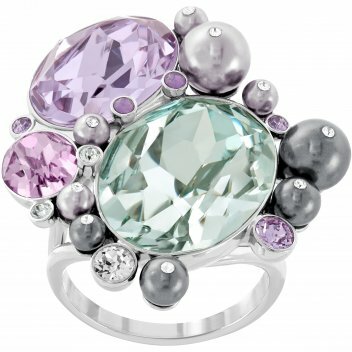 The colours on this ring would perfectly compliment your spring/summer wardrobe!